Window legislation laws have changed so here are some important things you need to know to be prepared! Changes in both Volumes of BCA 2013: Protection of openable windows (D2.24 and 3.9.2.5) have been made. New requirements are made in new clauses in each volume for the protection of openable windows in buildings of Class 1, 2, 3 and 4 and in early childhood centres. • in bedrooms in buildings and parts of Class 1, 2, 3 and 4. ➢ Where the lowest level of the window opening is 1.7 metres or more above the floor, the provisions do not apply. ➢ The openable part of the window is required to be protected with a screen or a device that is capable of restricting the opening. Neither the screen nor the device must permit a 125mm sphere to pass through it or the opening. ➢ Methods of restricting the opening are not specified; however numerous methods are available, such as a spacer, key lock, screw fix, blocking device, or the like. ➢ Where the screen or device is designed to be removed, unlocked or overridden, it must have a child resistant release mechanism. Such a mechanism could include one that requires use of a tool to remove, a key to unlock or a coordinated two handed operation to release. 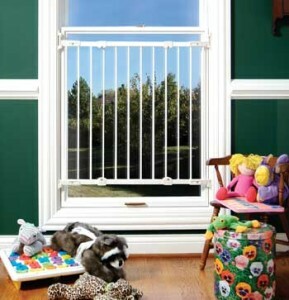 ➢ When a child resistant mechanism is used, in addition, a barrier of not less than 865mm must be provided under the openable window so that additional protection is provided in the case of the screen or limiting device being removed or disengaged. ➢ For windows to which the new provisions do not apply, the current requirements remain. ➢ The ‘openable size’ of a window intended to meet natural ventilation requirements of F4.6, is based on the potential to open the window that is built into the design, and the potential openable size this would provide in the plane of the wall in which it is installed. The BCA does not require the window to be opened, simply that the window is able to be opened. ➢ The design of the window will determine the ‘openable size’ for ventilation, while any limiting device will determine the restriction for protecting the opening. A device installed for the purposes of protecting the opening is not considered to affect the ‘openable size’ of the window for the purposes of ventilation. Extracted from The Australian Window Association (AWA) & The Building Code of Australia (page 3/5). If you have any questions please don’t hesitate to reach out to your Strata Manager or simply call (02) 8969 3300.